​​Borussia Dortmund midfielder Jadon Sancho has claimed that it won't be all that easy for ​Tottenham Hotspur to get past them in the Champions League this season, revealing that things will be different compared with last season. Spurs had faced Dortmund in the previous Champions League campaign as well and won both their games against the German club. This time, Dortmund are leading the Bundesliga table and is a more formidable force. 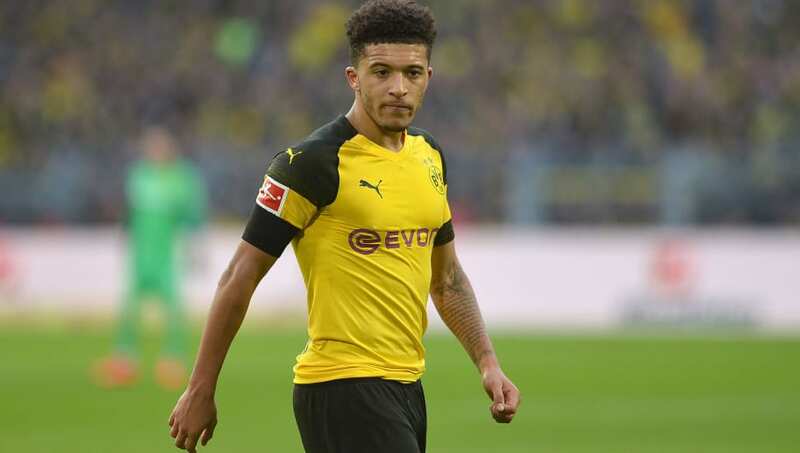 Sancho, who moved to Dortmund from Manchester City, will play his first competitive game in England, and warned Spurs that it won't be an easy ride this time round. “I watched the games last season,” Sancho said, according to ​Goal. “Unfortunately we lost. “I wasn't at the away game, but I was at the home game when we lost and they are a good side. I feel like we have improved since last season, so it won't be the same match as last year. Spurs will be without the services of Harry Kane for this game, but have still found ways to score goals without the Englishman, thanks to Son Heung-min and Fernando Llorente. Dortmund, meanwhile, are coming off a few bad results, having been knocked out of the DFB-Pokal to Werder Bremen and also letting go of a three goal lead to draw their Bundesliga game against Hoffenheim.